The teachings of the Magisterium mostly vindicate Sessions’s policies in interpreting and enforcing American law. At the same time, these teachings strongly suggest grave deficiencies in that law. The first policy, then, concerns the proper interpretation of U.S. law defining eligibility for admission, and the second, the mode of enforcing that law. Last week, various American bishops sharply and publicly criticized both decisions. As to the former policy, Cardinal DiNardo, expressed his “deep concern,” for, he said, the decision negated “decades of precedent” and endangered the very “right to life” of refugees. As to the second decision, he used stronger language: “condemning” familial separation as both “immoral” and unnecessary to law enforcement, for the government has “discretion” to not separate families. 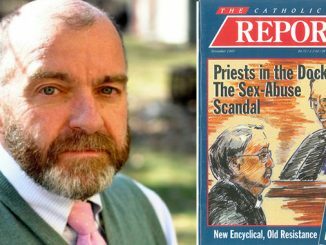 The bishops generally applauded the Cardinal’s statement, and none, to my knowledge, have expressly disagreed with any part of it. After some reflection, I’d like to respectfully suggest that the bishops’ criticism is largely misplaced. The teachings of the Magisterium mostly vindicate Sessions’s policies in interpreting and enforcing American law. At the same time, these teachings strongly suggest grave deficiencies in that law. 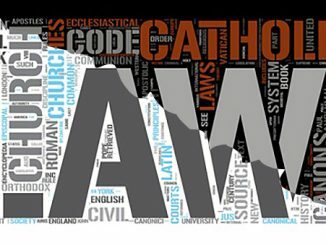 Therefore, instead of condemning the Executive, our bishops and all other faithful Catholics should instead petition Congress for certain reforms of our laws. Indeed, these denunciations are not only unfair, but could be harmful to the prospects of such necessary legal reform. Yesterday, President Trump issued an order that seemed to reverse Session’s second policy decision. Still, the first policy remains in force, and the second policy will probably be revived if the President’s order is invalidated after the near-certain judicial challenge. Informed of our intentions, you recently strove for legislation to allow many refugees to enter your land. Through your persistence, a provident law was enacted, a law that we hope will be followed by others of broader scope. The Holy Father thereby authoritatively affirmed, first and foremost, the right of refugees to seek a new homeland. Second, he defined the corresponding duty of the new country, in the exercise of a sovereignty that “must be respected,” to allow the immigration by “needy and decent people” where the “public wealth, considered very carefully, does not forbid this.” Further the Holy Father referred to a particular American statute and presented it as a law that was welcome but imperfect, to be supplemented with further legislation more receptive to a broader range of refugees. It is Sessions’s interpretation of the Refugee Act that is the subject of Cardinal DiNardo’s first criticism. Turning now, to the two criticisms, they can be reduced to three particulars: (1) that Sessions’s interpretation of American law is mistaken and thus unlawful, (2) that Session’s harsh mode of enforcement is not required by law, but is discretionary, and is thus needlessly harsh; (3) that in the alternative, if the law does authorize and require Session’s interpretation and/or mode of enforcement, then the law itself is so unjust as to require that executive officials disobey it. As to the first particular, Session’s says that the INA’s definition of admissible refugee—persecution on account of race, religion, political opinion, or membership in a “social group”—does not include all persons fleeing domestic or gang-related violence. Cardinal DiNardo responds that such an interpretation contradicts “decades of precedent.” I am at a loss to know what decades-old precedent he is referring to. The precedent, hailed in 2014 as a “landmark decision”, is very new and was issued only by the Board of Immigration Appeals, which is a lower administrative court subordinate to the Attorney General. Sessions is responsible for enforcing the “provident” but imperfect American law—in service of the “sovereignty” that “must be respected.” Sessions thus acted rightly in ordering his subordinates, including those in the Board of Immigration Appeals, to set aside this novel and unpersuasive interpretation. As to the second point, Cardinal DiNardo is partly right: the Executive does have some discretion, but assessing the matter requires drawing a number of distinctions that might seem tedious. First, when the Executive perceives and is able to arrest persons illegally crossing the American border, the Executive first must choose whether to arrest or to not arrest. Here there is almost no discretion, for to not arrest is to affirmatively permit—and thus participate—in illegal entry. Second, the Executive may do three things with these arrestees: (1) release them promptly into the United States; (2) release them promptly, via deportation or otherwise, to Mexico or another country; or (3) detain them, for some reason, for an extended time before release into the United States or deportation abroad. Such extended detention is appropriate where the migrants are either petitioners awaiting the adjudication of their asylum claim (which can be a protracted process), or defendants awaiting prosecution (and if convicted, perhaps further incarceration) for illegal entry (the first offense is a misdemeanor, the second a felony). It is this third possibility—extended detention—that has given rise to the familial separation at issue. Does the Executive have discretion to detain the adults while preserving familial unity—that is, via familial detention? Before President Trump’s executive order yesterday, the law seemed to prohibit it. Federal statutes and judicial precedent, as interpreted by the Ninth Circuit in 2016, prohibit the extended detention of minors, so immigration officials must promptly release the minors into the country, preferably to family members or a social-service agency. Therefore, if the adult is detained for more than a few weeks, the law requires that their children be separated from them. To this extent, Trump and Sessions had no choice but to separate the families. But President Trump changed course yesterday, and issued an executive order that is a direct challenge to this judicial decision. He ordered resumed familial detention, and directed Sessions to seek modification of the judicial decisions prohibiting extended familial detention. 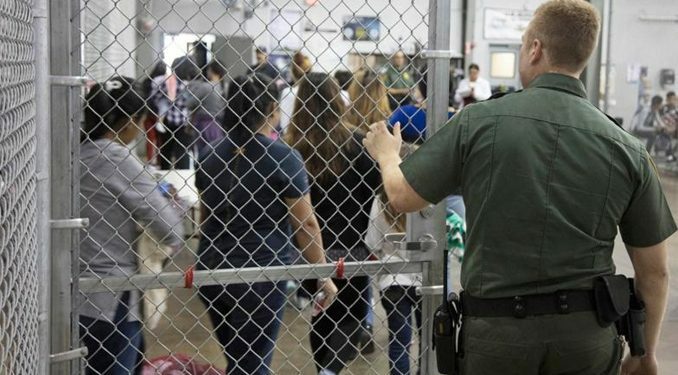 If the courts reject Session’s request and invalidate the order, and the Executive complies, the Executive will not be able to keep children united with their parents if the parents are detained at length. Still, does the Executive have any discretion as to the detention that would thus require familial separation? The answer is partly no and partly yes. If the entrants claim a right to asylum, the Executive has fairly limited discretion. On the one hand, the claimants have a right to not be deported back to the very country where, they allege, they risk persecution. On the other hand, the claimants cannot be simply released into the country with their children, under order to return for the asylum hearing, for as a practically, most such persons will not return to the hearing (where there is a high risk of deportation), but remain in the United States indefinitely as unlawful residents. Some partially-successful substitutes to detention have been tried, including most notably the “Intensive Supervision Appearance Program,” where claimants are released in our country, permitted to work, while subject to such measures as regular reporting and mandated GPS ankle bracelets. But the success has been limited, with a substantial percentage of claimants absconding from immigration proceedings or engaging in other crime. Moreover, compliance largely resulted from a screening process that has limited the policy to “low risk” immigrants—ones less likely to abscond, in part because they already have established a colorable claim to asylum, and thus have good reason to hope that the immigration courts will decide against deportation and in favor of admission. As a general rule, however, detention seems the only workable solution. But as to detentions for prosecuting and punishing illegal entry, here the Executive has substantial discretion. While it is the migrant who decides to initiates the asylum adjudication, it is the Executive who decides to prosecute. Sessions here has substantial discretion, and not limited to a “zero tolerance” approach. The Executive most certainly could refrain from prosecuting some of the illegal entrants, and to that extent, extended detention is discretionary. On the other hand, to refuse to prosecute any illegal entrants with children, and instead to repeatedly catch and release them back to Mexico, is to invite repeated attempted illegal entry, and to incentivize the endangerment of children. But Sessions could adopt various policies that fall somewhere between “zero tolerance” and “catch-and-release,” such as declining to prosecute first-time-offenders, especially those with very young children. To this limited extent, then, the bishops are correct in identifying familial separation, as discretionary, for Sessions has some limited discretion as to the prosecution of parents for illegal entry. But it may be said, third, that even if authorized or required by law, Session’s mode of interpreting or enforcing our immigration law is so unjust as to require disobedience to that law. Such condemnation of American law, however, seems irreconcilable with the approach taken by Pope Pius XII: affirming the necessity of respecting a nation’s sovereignty, praising our very imperfect refugee law, and urging the adoption of legislative changes. Indeed, the law enforced by Sessions is less unjust and more welcoming of refugees than the law praised by the Pope. There are, as recent popes have said, compelling reasons for Catholic citizens to do a more vigorous assessment of our nation’s common good, to consider whether we should expand substantially the categories of economic and other refugees we might receive, without endangering the welfare of the American people. And even more certain is that various enforcement means could be established by law that would mitigate the necessity of prosecution, extended detentions, and the separation of children from detainees. Among other things, Congress could bolster Trump’s executive order by making familial detention permanent while expanding substantially the resources, including judicial resources, that would make these detentions more humane, more safe, and less protracted. But these changes will require extensive extended debate and bipartisan agreements. In this respect, the bishops’ criticism and condemnation of the Executive is not only unfair to Sessions, but potentially harmful to the common good. By insisting that the Refugee Act be stretched to include categories of victims plainly outside its scope, the bishops provoke reasonable fears that any legislative compromise will be subsequently grossly misconstrued in favor of more immigration. 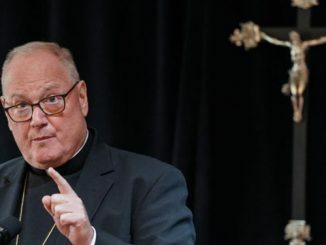 Second, by aggressive criticism and condemnation, even if partly justified, the bishops risk needlessly undermining the conditions for respectful dialogue and compromise. Therefore, I ask that our bishops reconsider their criticism and condemnation of Sessions and the Executive Branch. Instead, they should, as recommended by the Holy Father, urge the faithful to that earnest inquiry and respectful dialogue that may lead to a more humane, more just, and otherwise less imperfect immigration system. 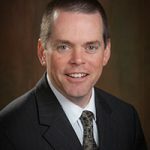 David R. Upham is a lawyer in Texas and Associate Professor of Politics at the University of Dallas. And thus here is the problem with certain Latin theories of the Magisterium. Even a “good” pope like Pius XII is not immune from error (even if the text was written by someone else, he issued it in his own name). The natural law commands that one give free passage to those seeking to travel to unoccupied and unclaimed territory, with the usual caveats (not an immediate physical threat, and so on). Can refugees or migrants claim unoccupied land that is under the jurisdiction of another state? Think about the consequences of this for a second. If refugees from Ibero-America can claim land here for themselves, why cannot Americans claim unoccupied land in Mexico or another Ibero-American country? If a pope wants to say that many modern nation-state have claimed too much for themselves, more than it needs for its own well-being, I won’t disagree. But this applies to Mexico as much as to the United States. Secondly, regardless of what the Federal Government may think about “Federal land,” all land belongs primarily to the people of the state, and if one has a problem with the individual states having too much land, that is an issue to be resolved by the people of those states, many of whom have no land of their own. Catholic Social Teaching is woefully underdeveloped in these respects. Then we have the additional question of whether an outsider has a right to actually join a political community and to be a part of the economy of that community, which economy should be subordinate to the good of the community and serves it. The answer is no, there is no such right under natural law. A political community may grant certain privileges to outsiders (for example, to work in the economy) but it does not owe an outsider automatic integration or citizenship. St. Thomas’s treatment of these question has been publicized recently, for obvious reasons, and the Papal documents of the last 75 years have failed to be as clear-headed and rooted in the natural law as St. Thomas on this question. It is my understanding that under recognized international protocol, but not the laws of the United States, any asylum seeker must present themselves for asylum at the first nation they come to, assuming they will not face the same type of group based persecution as they do in their home country. U.S. law should require that anyone coming from Central America and passing through Mexico en route to the U.S and claiming asylum, provide satisfactory reasons for not presenting a claim in Mexico. Failing to do so, would result in deportation. Many if not most asylum seekers are from Central America, and therefore Mexico should be the proper venue to present an asylum claim. It is a known fact that Mexico is in effect helping to “game the system” and simply passing through asylum seekers through to the U.S., even though they could process their claims. How is the link for “substantial percentage” serving as evidence? It’s a law firm specializing in immigration. Nothing here to show claimants “engaging in crime.” This perpetuates the myth that immigrants commit crimes at a high rate. Human beings are blessed with an ability to find solutions for worldbuilding. Living and dying in crisis is no big deal. The source of the immigration violation on the US southern border is an exodus of mostly Catholic families is the unbelievable violence in three Central American countries… El Salvador, Guatemala and Honduras. Making any sense of Trump’s Tweeting on the unimaginable horror of these young people is never going to happen. He makes one blunder after another with his hatred of people of color. Apparently, there is one solution to the flow of Hispanics from their countries, that is a UN resolution to approach the cruel leaders with an ultimatum. Restore law and order or we will.